Ron Johnson Jr., better known as Mr. Jay to the students at Summit Rainier, is the instructor for the Modern Acting and Theater Expeditions course. In addition to his work with the Expeditions team, he is also a professional actor and has been in a number of films and segments such as Funny or Die. He is also a rapper, and you can find his original songs on websites like Spotify and Sound Cloud under his name. 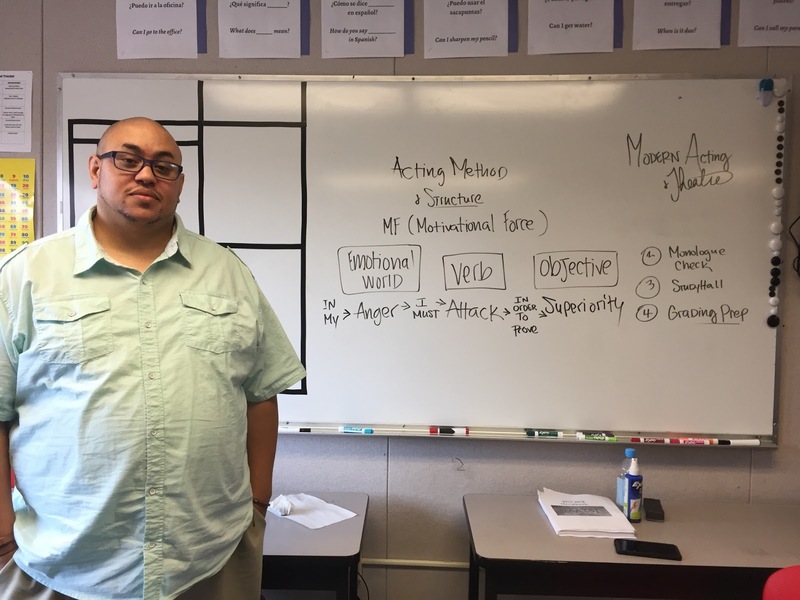 While he is at Summit Rainier, he is always trying to inspire his students to believe in themselves, whether they pursue an acting career or not. 1. Since you are an actor, at what age did you know that you wanted to be an actor, and was it a big “aha” moment? 2. Were your parents in the acting business as well? 3. Can you describe your current status right now? 4. What’s something that stands out to you in a script? 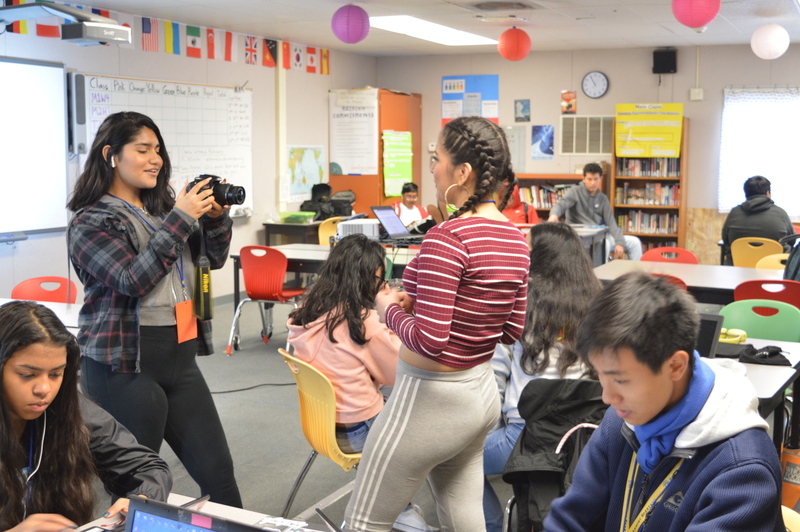 “Something that stands out to me in a script is when characters are written for specific purposes but they have room to grow,” Mr. Jay explained. 5. Have you ever had that one character that you just had to play? Summit Expeditions Modern Acting and Theater Instructor Ron Johnson Jr.
6. On the opposite side of things, what is something that stands out negatively in a script that makes you not even want to interview? 7. When you are going to an audition, what goes through your head? “What goes through my head is making sure that I’m not overdoing it, you know? A lot of actors, when they start out, they feel like they have to stand out or they have to be different from everyone else. When in reality, if you just do it the way you internally feel about it, that is when you have the most success,” Mr. Jay elaborated. 8. What is going through your head after the audition? 9. After getting a role, what goes through your mind? “Well, you know it’s always excitement. But then it immediately turns to OK, I’m happy about this, but this is still a job and I have to do it the right way. So if I get a role I immediately start doing research,” Mr. Jay said. 10. What has been the hardest part about your acting career? 11. How have you overcome that yourself? 12. Since you write your own songs, what is the motivation behind them? 13. Does your knowledge on the behind-the-scenes affect how you see movies and other things? “Before I got involved in the industry I would watch the movie and leave. Now that I know how hard these people work, I stay until the end of the movie and I watch all the credits. Every last name,” Mr. Jay reflected. 14. Do you have any noteworthy stories about the industry? 15. Why did you become a drama teacher? “I don’t really consider myself a teacher. What I consider myself as is an instructor who teaches vocational training. I don’t teach the history of drama; I teach you how to use it to become a professional,” Mr. Jay said. 16. What is the message that you want to give your students? “Come see our show at the end of the year!” Mr. Jay said.